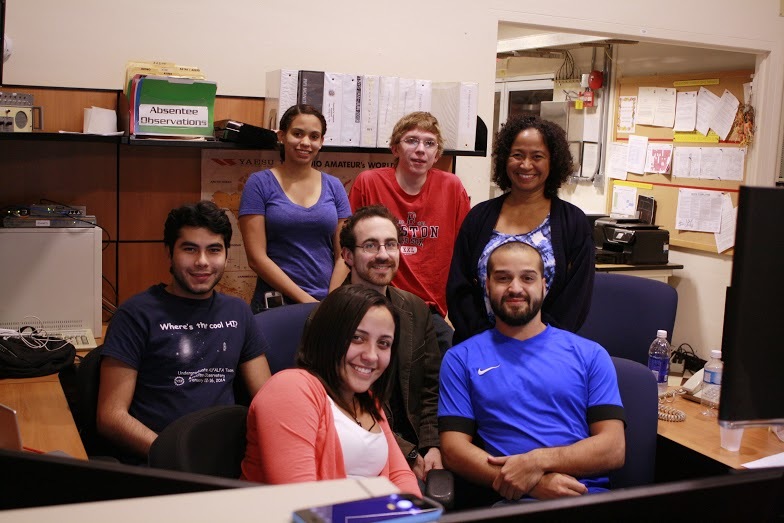 This post was contributed by Jonathan Perez, a student at the University of Puerto Rico, who participated in the observing run in March 2013 after attending the UAT workshop at Arecibo in January 2013. To only say that the experience at the Arecibo Observatory was unique does not reflect in its entirely the true nature of this opportunity. I guess if I had to say what was one of the most significant details of the experience, it would have to be the comprehensive insight that one receives of what a scientific research career would be like. Radio astronomy wise speaking, this experience opens your eyes of how it all goes down, meaning that one can see how all the raw data is receive, collected, analyze and then stored for a later more comprehensive and thorough review. However, I must say that the most awesome moment (which is almost always the little details) was the opportunity to look into the clear night sky next to the world’s biggest radio telescope; giving away a sense of its endless wonders, and the urge to understand its mysteries. 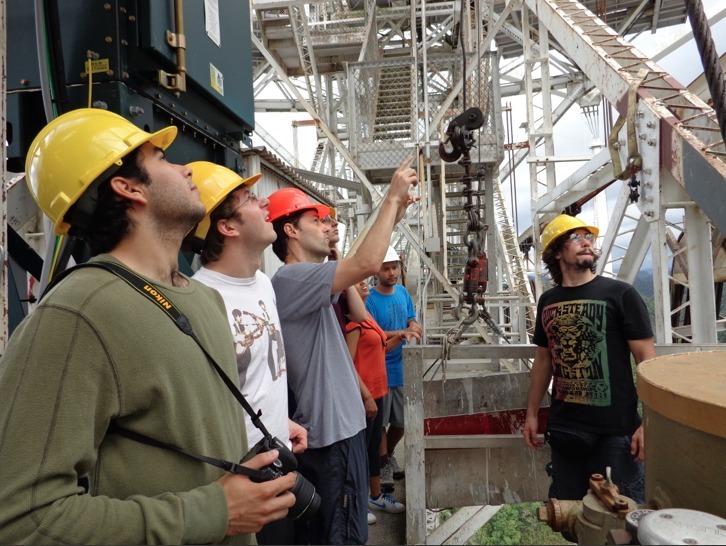 Jonathan (left) and other members of the UAT on the tour of the telescope. The Arecibo telescope is amazing! 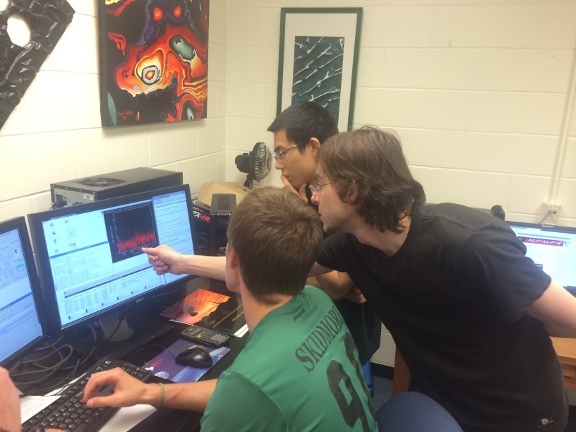 This post was contributed by Elijah Bernstein-Cooper (Macalester College) during his 2nd trip to Arecibo this year. He and Jesse Watson (U. Wisconsin, Stevens Point) first met at the UAT workshop in January and both volunteered to return to Puerto Rico in March for the ALFALFA followup observations. 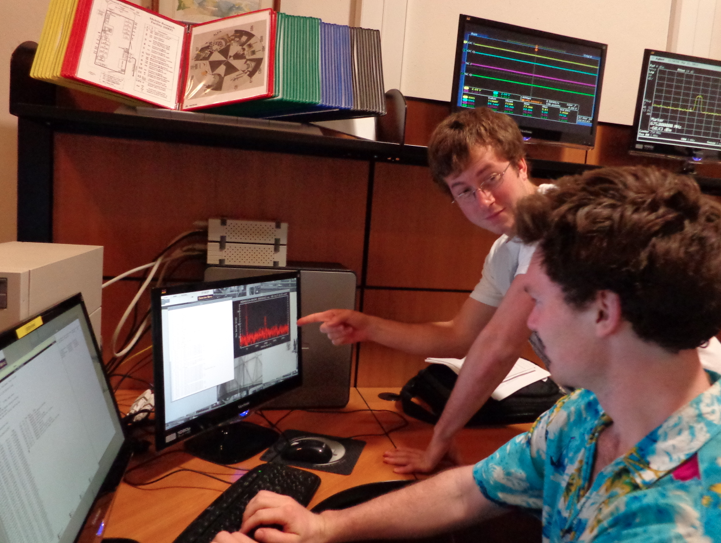 Elijah and Jesse discuss neutral gas spectra observed at Arecibo in a follow-up ALFALFA observation with the L-Band Wide receiver. We are now operating in a nocturnal fashion: meeting the bedsheets at 6 AM and having pizza for breakfast (if you can call eating at 1 PM breakfast). Elijah has made many detections while Jesse is lagging (not for a lack of trying), and Parker figures it’s about the magic touch. 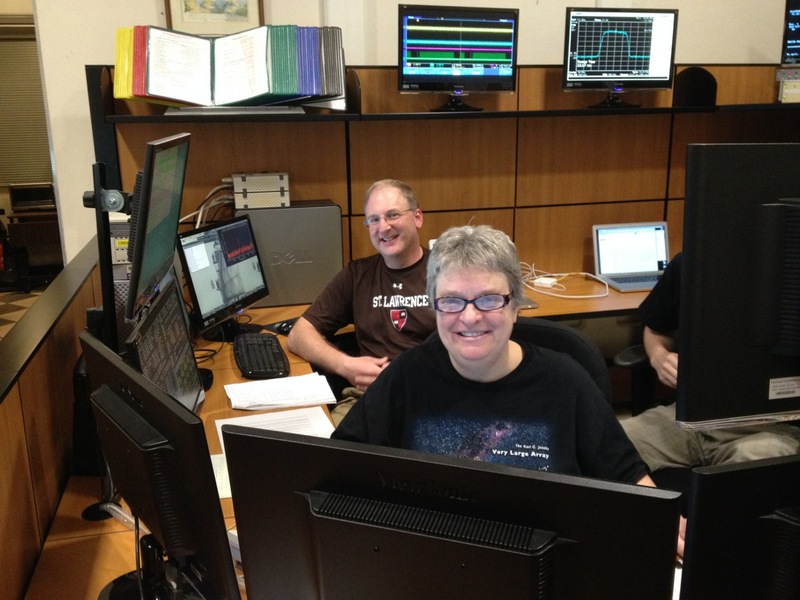 One night of observing consists of about 100 observations of different sources which Martha has been kind enough to fully map out making the observing run relatively easy and stress free. Jesse and Elijah are doing a push-up after slewing to a new source which helps to keep the heart rate up to combat sleepiness, and is a great way to incorporate exercise into science. As usual, the coquis keep everyone plenty of company throughout the night. We cross our fingers that we’ll discover a starless galaxy, or a dark galaxy. 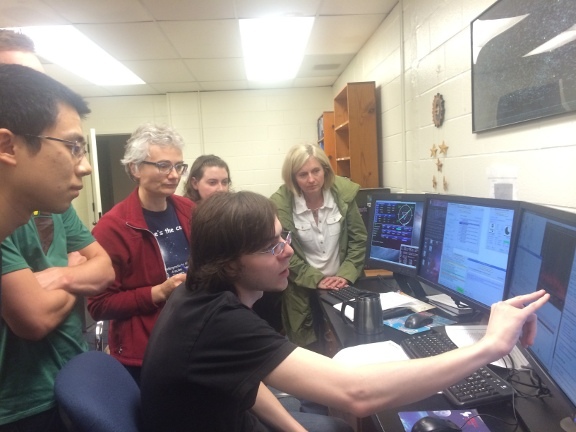 Jesse and Elijah learned plenty about dark galaxies and follow-up objects during the Undergraduate ALFALFA Workshop in January of 2013. They were so excited about the science they accepted Becky’s and Martha’s offer to observe at Arecibo during their spring break. Weather 50 degrees warmer than their homes made the decision even more attractive. Overall this has been an amazing experience that never would have happened without both Martha and Becky. We can’t thank them enough. While here we have had the joy of using a professional telescope that not many people in the world have the privilege of using. 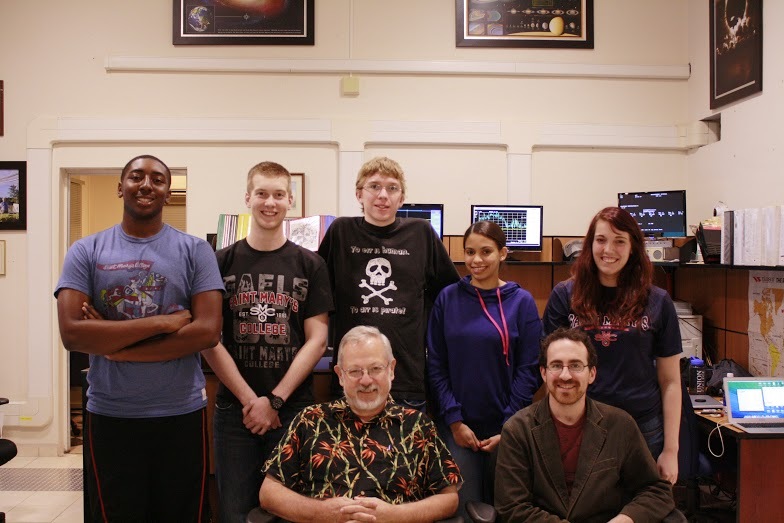 Additionally we have had the chance to meet a wide variety of incredibly nice and helpful people ranging from the scientists, guard staff, kitchen staff, telescope operators, and of course the other students from around the country. 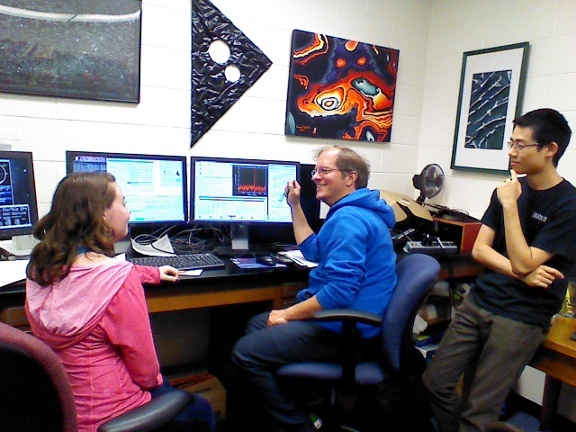 This experience made us even more excited to continue astronomy after undergraduate schooling. 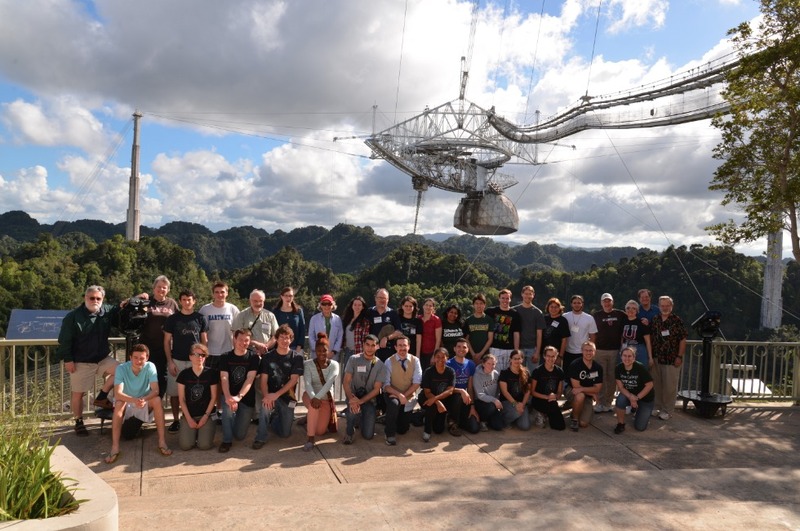 Numerous members of the UAT are traveling back to Arecibo this week to conduct observations with the telescope. We hope they’ll provide a report for us! 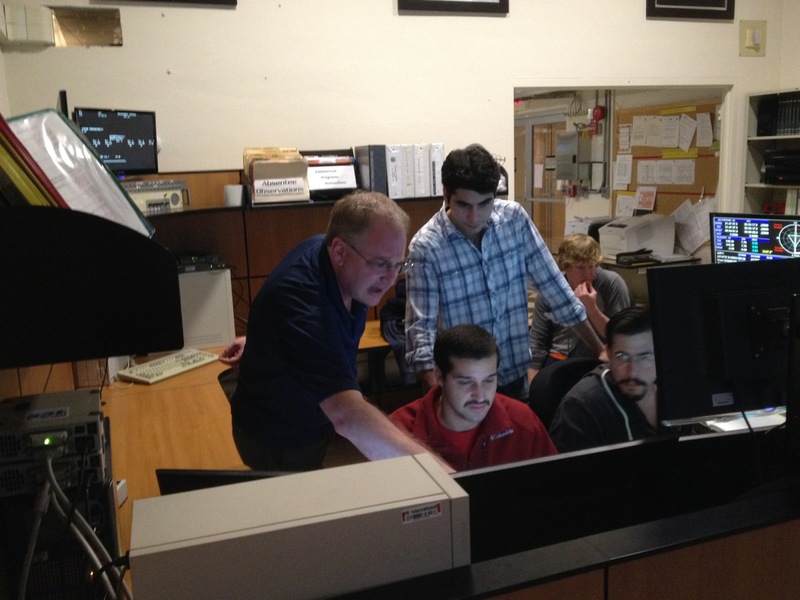 The 6th annual Undergraduate ALFALFA Team (UAT) workshop at Arecibo is taking place now (Jan 13-16, 2013). More details to come when we have more time. In the meantime, we are having more fun than human beings should be allowed to have!